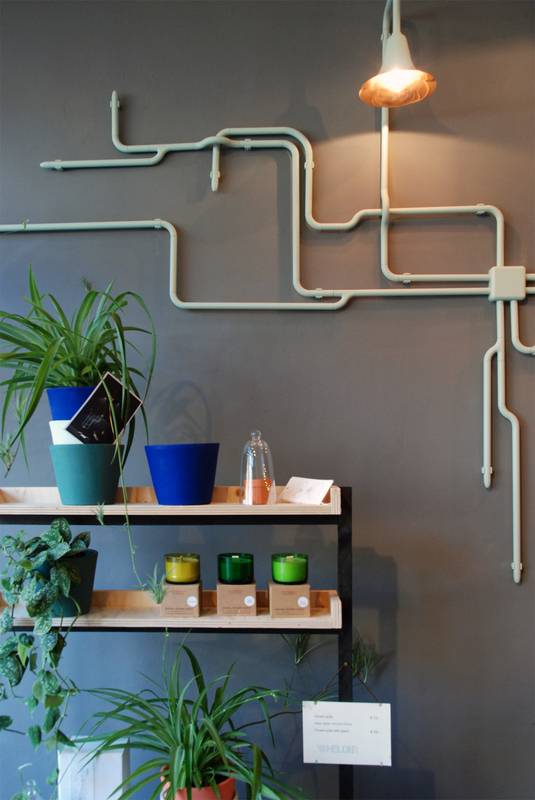 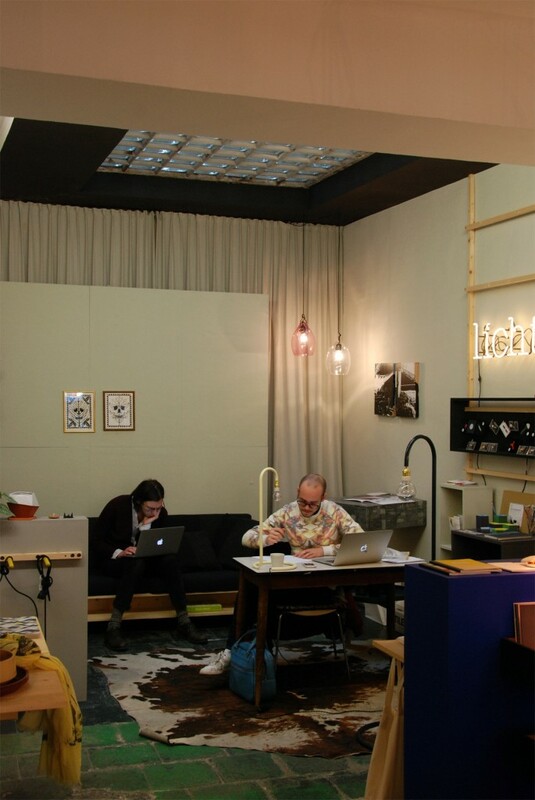 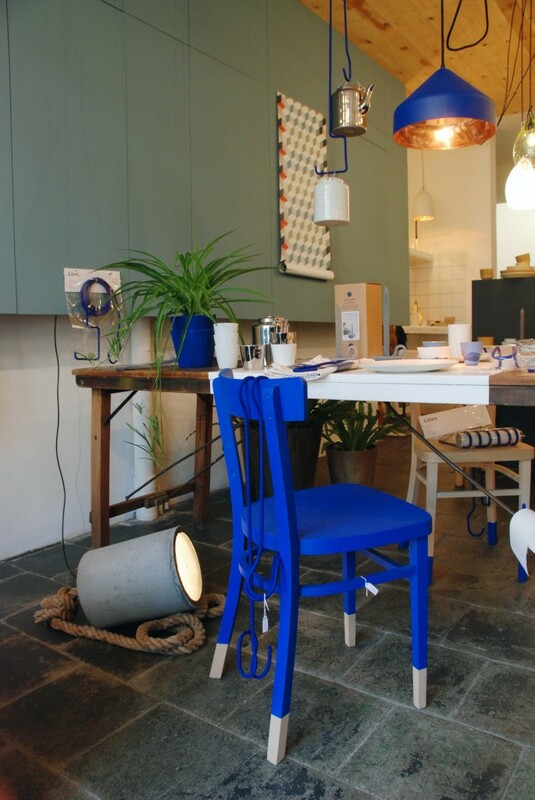 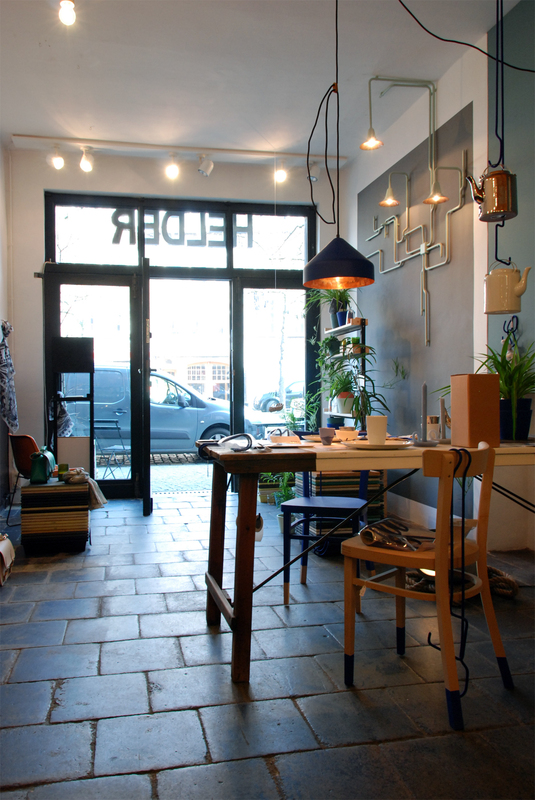 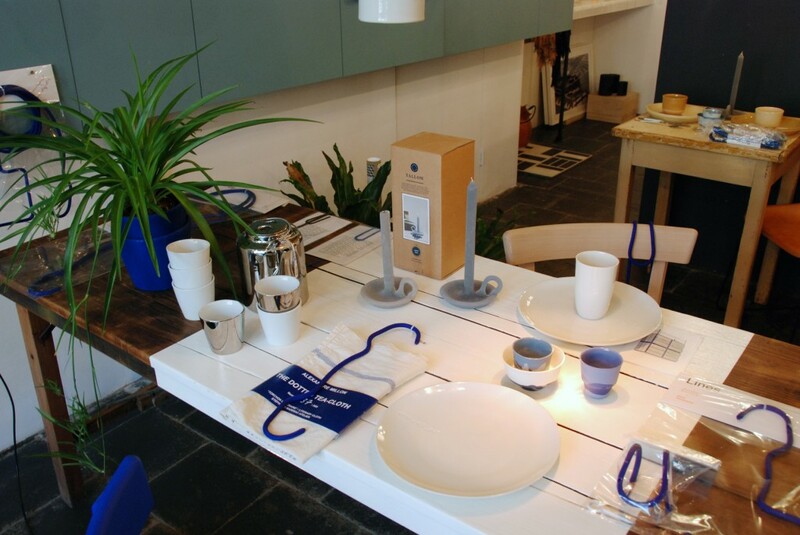 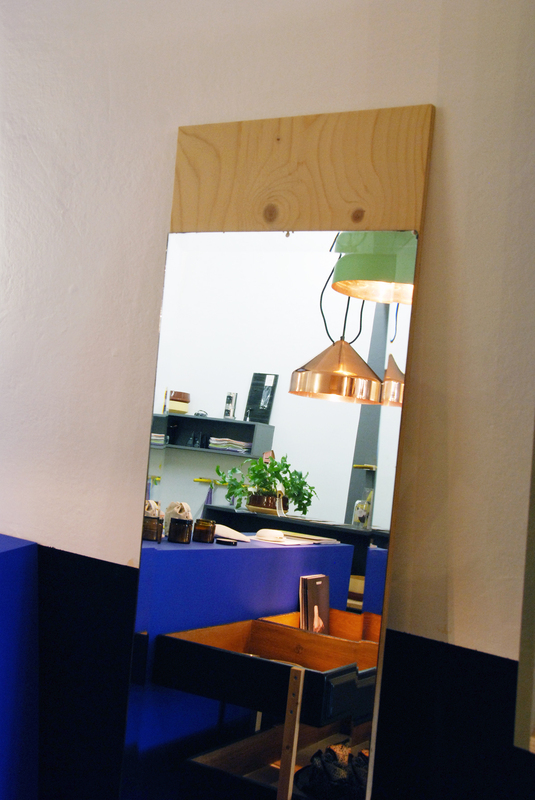 Helder is a combination of a shop and a design studio, founded in 2010 by Brecht Baert and Diana Keller, who have a background in interior design and fashion design (the two met while working at Ann De Meulemeester). 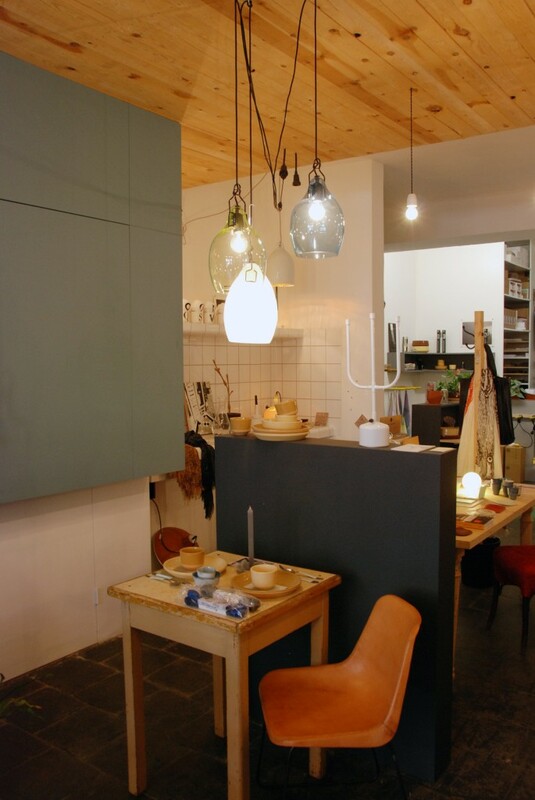 They have an eye for beautiful objects, and sell not only home decor items and furniture, but also jewelry and accesories. 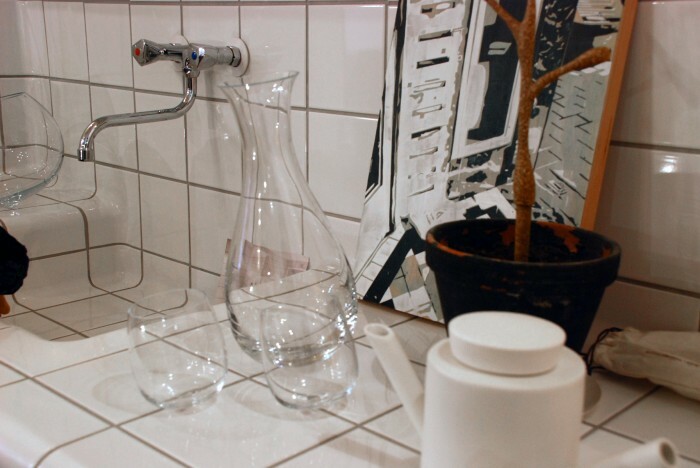 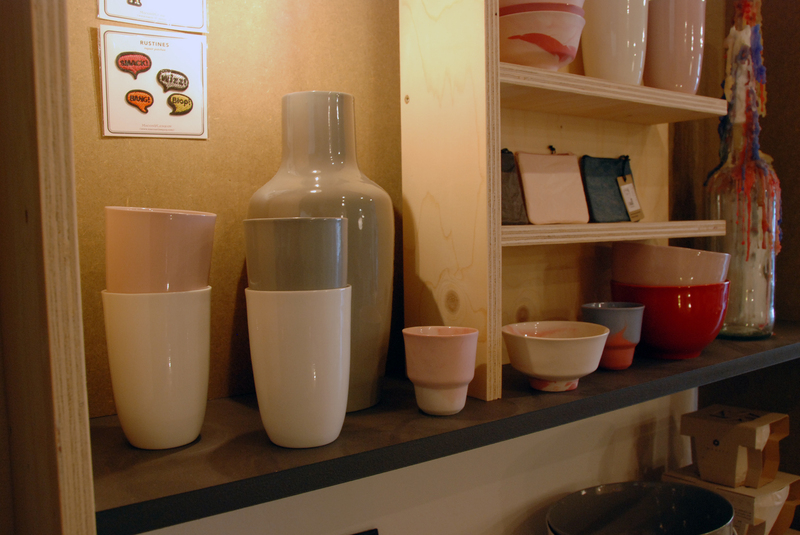 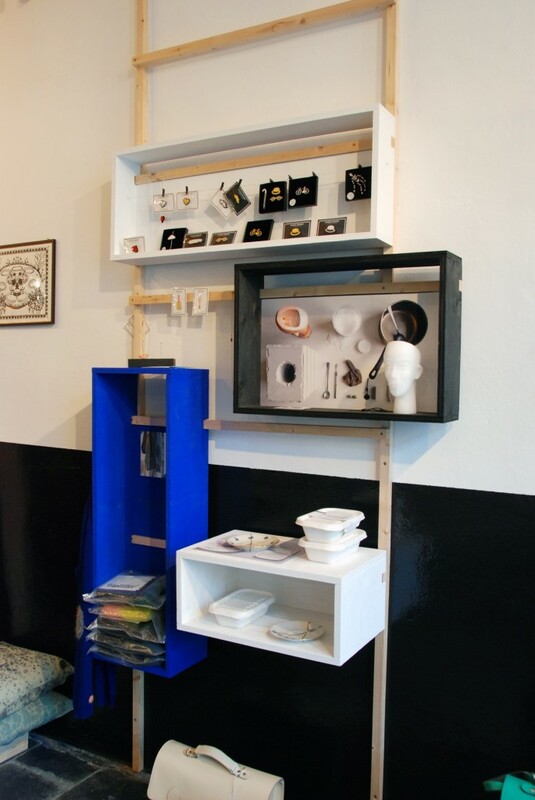 They focus on high-quality, mostly handmade objects, often produced on a small scale in Belgian or Dutch ateliers. You’ll find ceramics from Makkum, the oldest ceramics atelier of the Netherlands, and the ‘D-tile’ range, ‘a system which allows any space or object to be completely covered with tiles’. 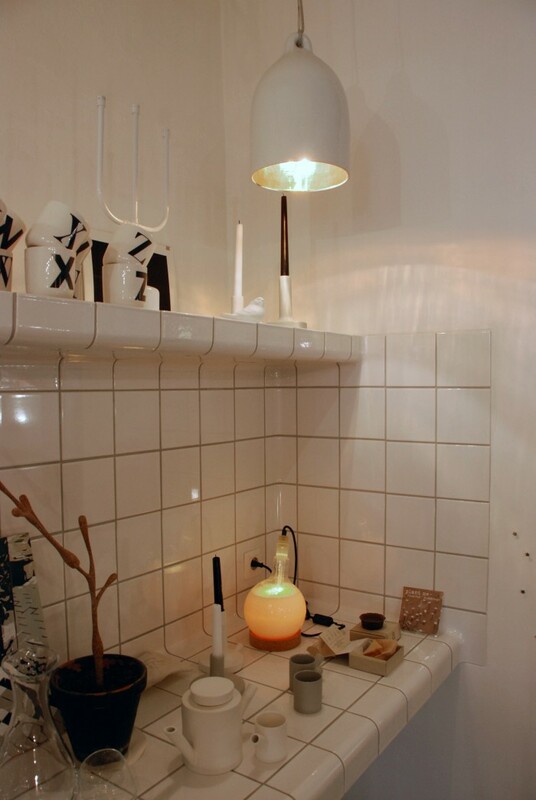 In the atelier under the shop, they work on their own line of furniture (‘Helder’), including steel tube floor lamps, a multiplex couch and a terrazzo coffee table, amongst other products. 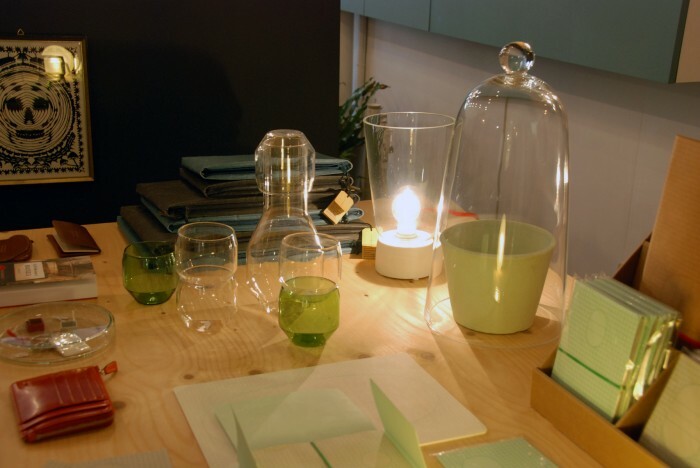 They combine their very personal, contemporary design language with a range of (often unusual) materials, to create multi functional products. 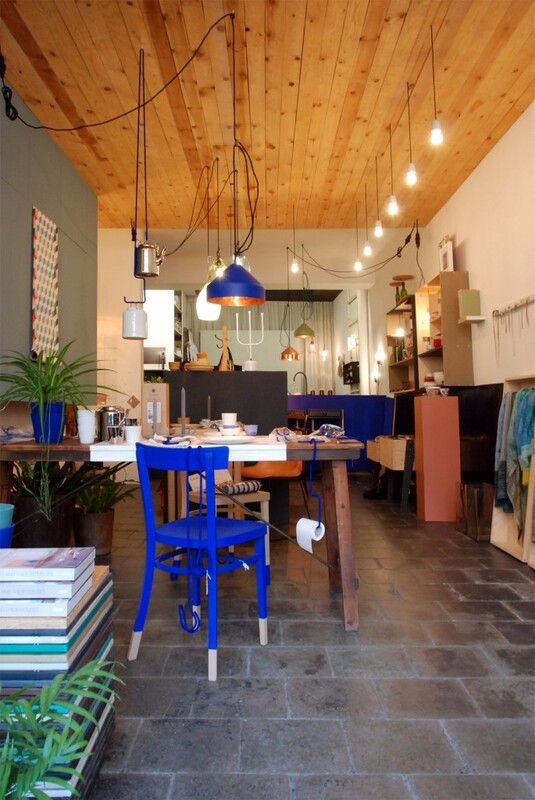 They also work on private commissions for complete interior design projects for houses, shops or bars, where they can combine their products with custom made bathrooms, kitchens and carpentry. 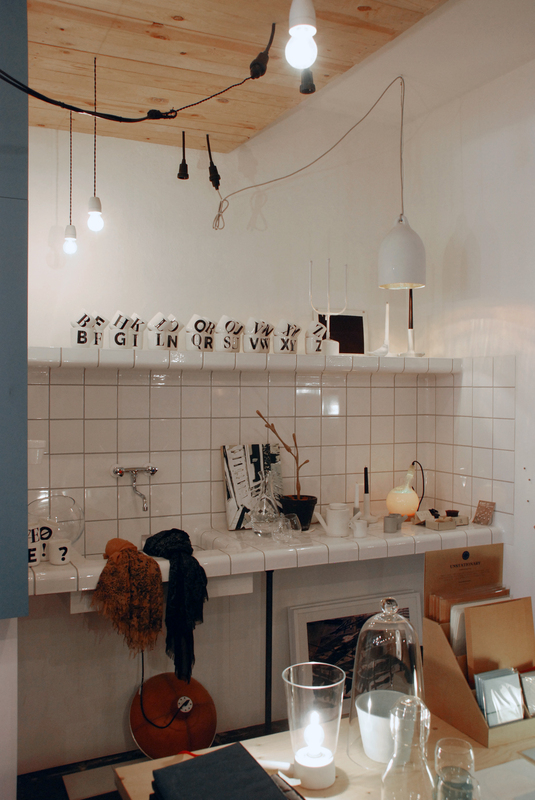 If you’re looking for a special decor piece for your interior, or a unique birthday gift, head over to the Vrijdagmarkt to have a look in this small but wonderful shop!